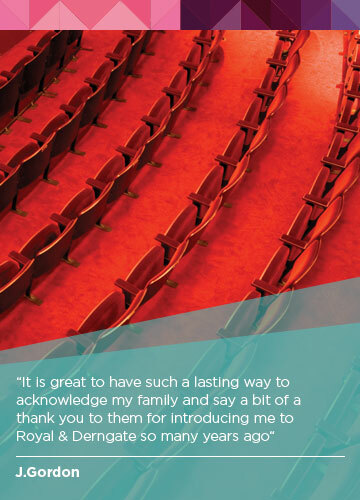 As well having your personalised plaque on your chosen seat for 10 years, you will receive a commemorative certificate and be acknowledged in our Made In Northampton programmes. After 10 years your plaque will join our collection of past seat plaques in a permanent position in the Royal foyer. To name your seat or discuss customised opportunities, please email Laura Serbyn.